How to jump into a second act with confidence and what Oprah has to say about pursuing your dreams. Alex Davies, Maker and writer sharing inspiration for a heartmade life. JoAnn Ray never imagined she would grow up to be a portrait artist. But when it was her turn to pursue a dream, she chased a path that brought her to a brand new career as a Master portrait artist. For decades, you put aside your dreams to raise the kids or work the “safe” nine to five job – the dependable option that brought home the bacon. Countless women share a similar story of letting their ambitions fade while they supported and cared for their families. But now it’s your turn to return to that dream of writing, painting or opening your own boutique. Where do you start? And what if your dream doesn’t pan out? The questions and the naysayers can feel loud enough to make you forget your dream again. So how do you keep it alive and make the impact in the world you’ve imagined for years? Here are three secrets successful women use to inject confidence into your vision and unlock your dreams. Almost everyone has a big why behind their dreams. Maybe it’s a huge humanitarian goal like ending emotional abuse. You could be passionate about helping others achieve a healthy lifestyle. Or it might be a why that’s closer to home. Did a close family member tell you that you could never make it as an entrepreneur? Or did somebody convince you of the the starving artist story? One of the most driving reasons to succeed is the desire to prove someone wrong. And sometimes that someone is yourself. So whether it’s to beat the odds or change the world, remember your why when you’re tempted to surrender. Returning to your core purpose will reignite your passion and fuel your dream. Most people don’t realize the emotional toll an unfulfilled dream has. Years of squelching your creativity and ambition can turn from frustration to depression fast. JoAnn Ray enjoyed drawing, so when she found herself with an empty nest she decided to take her art to the next level. She soon discovered that drawing was more important than a simple hobby. Drawing whisks her into a “serenity zone” where time stands still and she is swept away in the joy of the creative process, seeing her passion flow out onto the paper. “When I’m at work in my studio, stress goes away and my mind is peaceful,” says JoAnn. And pretty soon others were appreciating her work, too. Today, JoAnn creates stunningly realistic portraits for her clients. The mental, physical and financial benefits of an unlocked dream can be well worth the effort it takes to turn your vision into a reality. 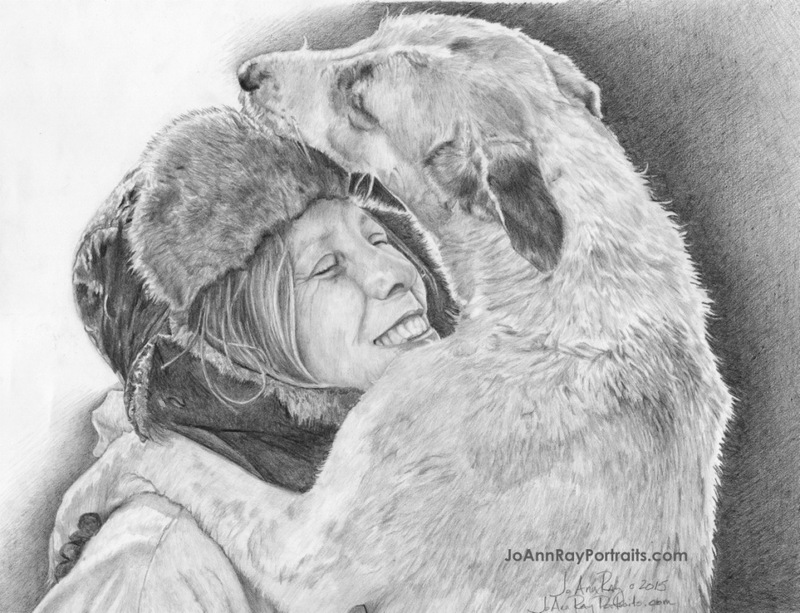 You can view JoAnn’s amazing work at www.JoAnnRayPortraits.com. Another secret successful women know is that pursuing your passion is the best way to make your voice heard. Oprah knows you have a personal story that is powerful and needs to be shared with the world to make a difference and leave a legacy. When you believe that, too, when you know that your passion is the most powerful gift you can give the world, then you’ll never doubt your dreams and you’ll be ready to make them happen. Alex is passionate about helping creative women refuel their dreams and pursue their purpose.